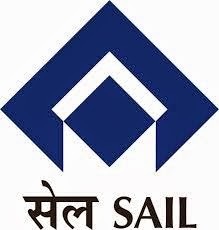 Steel Authority of India Limited (SAIL) invites applications from young aspirant Engineer’s, HR, Marketing and Finance Degree Holders for the recruitment of 650 Management Trainee in various subsidiaries of SAIL. The candidate should not be more than 30 years of age as on 01-01-2014. Candidate should have completed full time Engineering course with 65% aggregate marks in all the semesters counted together. MCA candidates with 65% aggregate can also apply for Computer Science post. Candidate with Graduation in any discipline with 60% aggregate of all years and MBA or PG Diploma with 60% marks are eligible to apply for the respective post. For Finance, Candidate with CA/ICWA can apply. Candidates who wish to apply and found themselves as eligible should apply through Online Mode by visiting the SAIL Career website www.sail.shine.com on or before 21/01/2014. General and OBC candidates are entitled to pay a fees of Rs.500/-. For SC/ST and PWD candidates Rs.100 should be paid as processing fees. Candidates will be selected on the basis of Written Exam followed by Interview. The selected candidates will have to undergo 1 year of training, after training period they will be place as Junior Managers. The pay scale ranges between Rs.20,600/- to 46,500/-.